Recently Susan G. Komen for the Cure Foundation, the largest private funder of breast cancer research in the country recently cut funding to Planned Parenthood who has recieved from the Foundation $600,000 in grants last year alone for breast cancer prevention and screening programs. Komen spokeswoman Leslie Aun claims the reason to be that the Foundations new criteria bars the organization from giving funds to organizations that are under investigation by governmental authorities and last September, U.S. Rep. Cliff Stearns, R-Fla., launched an investigation of Planned Parenthood to determine whether it used public funds to pay for abortions. But now many sources are saying that its really because Karen Handel, who became Komen’s senior vice president for public policy in April is pro-life, and will not support the mission of Planned Parenthood. 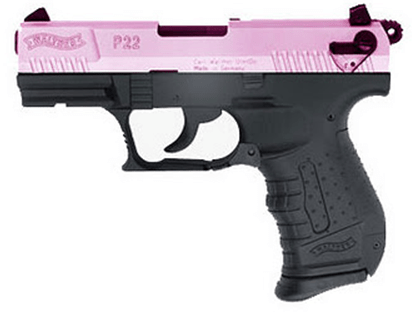 But being “pro-life” obviously has nothing to do with the sanctity of life considering that the Seattle Branch of the Susan G. Komen Foundation has teamed up with a gun manufacturer to sell a PINK handgun to raise funds for the organization! So the Komen Foundation won’t contribute to Planned Parenthood, which uses 3% of its resources to provide abortions, but it will gladly take blood money from a company that makes products specifically designed to kill full-grown people?